Its a mysterious story filled with symbols, unexplainable images and strange dark feeling inside. 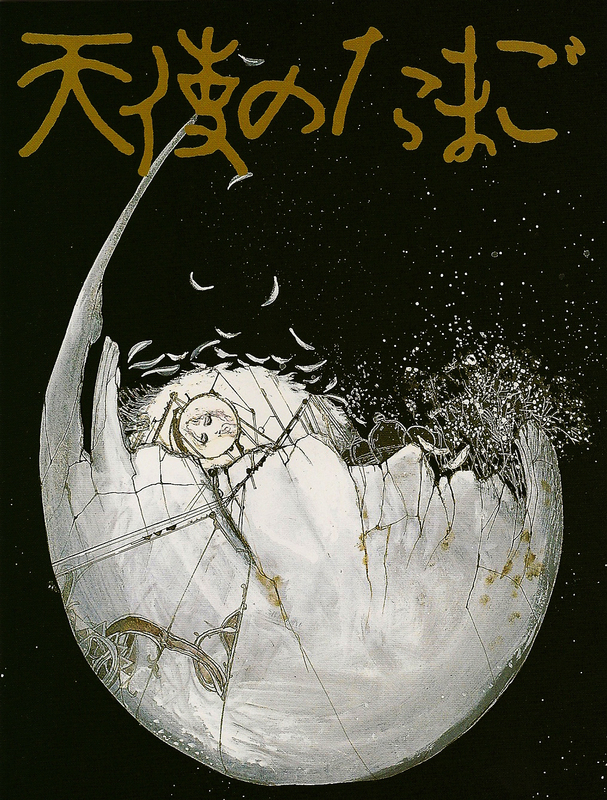 Its a story of a girl who caries an egg, which she believes one day will become a bird. She meets a strange man, who comes into the city. 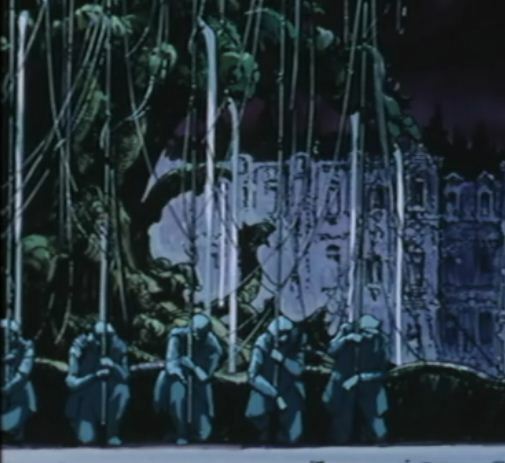 The city itself is filled with statues of fishermen, who gets alive when shadows of huge fishes come to the city. 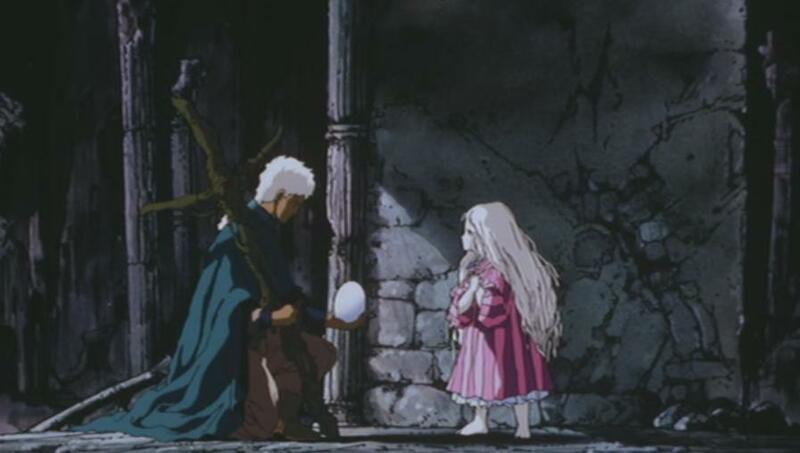 Man gets a trust of the girl and eventually breaks the egg, so a girl looses what was the most precious to her and eventually dies (I think..). Well its hard to explain what exactly is shown, I only mentioned the abstract images that I could understand, but basically this movie is made in a way that everyone can interpret it in his own way. So I will just tell what it was for me. A girl – is a symbol of pure and innocent child, who has a hope. Its like any other person who still has a purpose of life, that something he carries around with him, that something as easily breakable as an egg. In this abstract story lets consider it just hope. And as long as she has it, as long as she caries it, she lives. She also collects water in bottles and brings it to the same place – its like her job, her duty, that something she carries on doing even without realizing why. Water – is life. Everything started there. 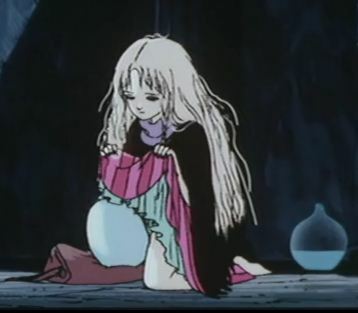 Also I see it symbolic that she carries the egg as if she was pregnant – like protecting something really important, and keeping it close to yourself. But then she meets a man. A man who asks what is in the egg. A man who needs to know, while she is fine without being sure, she knows enough to keep her faith, she doesn’t need to look inside, and she has patience to wait. For me he’s like a hunter (because of the first and last scenes. He sees the same strange structure appearing, so it gives a feeling that its like a cycle). Who finds his pray, waits for right time and then takes away what he needs. He is like a messenger, going around and telling that what you believe might be not true. He has to find out, he has to be sure. He is like the one searching for the truth. While they face the fishermen, who represent people chasing after things that has only shadows and don’t exist anymore. Its like people around us these days – they chase after money and glory, which is so temporary and low.. It’s only shadows that they want to reach and they think they will be happy by catching them. Or seeing it from other angle its like solders that fight a war they don’t really know anything about. They fight because they just don’t know any other way to live anymore.. It became their life – hunting for something not existing like winning. And they both understand that they are different from them. The man doesn’t do anything else than go after her, while she suspects him, later start to trust him. She hides behind him, because she already grew aware of him, while she still is afraid of the fisherman. And for me personally, it has a big motive of woman and man. He runs after her, he is there waiting for her to make her mind, to put trust in him, he offers help, he lets her hide behind him, he lets her be weak with him, he gives a promise to keep safe an only thing she keeps precious to her, and then he breaks that promise when she looses cautiousness, he takes away her hope and then abandons her. And she dies. As we all do if we lose our hope in life. Well she becomes a statue on the strange thing that was shown in the beginning. Like a monument to the one that had faith. And a man keeps his search. While she reproduces new eggs that maybe other girls will find. That also somehow makes it a circle. Animation and drawing is great, soundtrack couldn’t be better for this gloomy and dark atmosphere. The movie is different every time you see it, so maybe it worth seeing few. 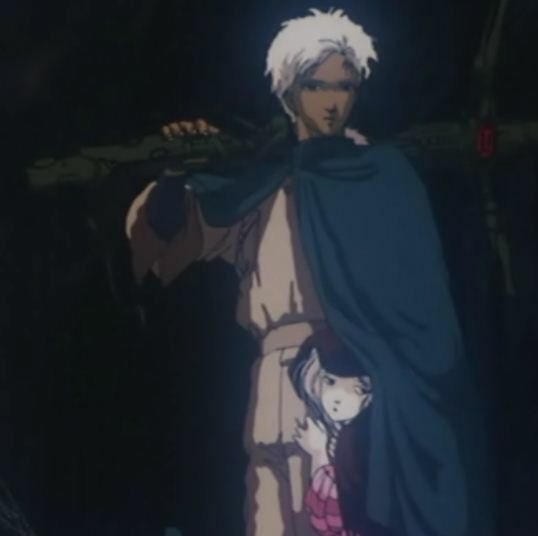 This entry was posted in Movie and tagged Angel's Egg, Before 1990, Mamoru Oshii, Studio Deen, Tokuma Shoten, Yoshitaka Amano, [ILA]. Bookmark the permalink.